I found this article to be hilarious, especially the author’s commentary on the fusty scholar who complained. Hee! 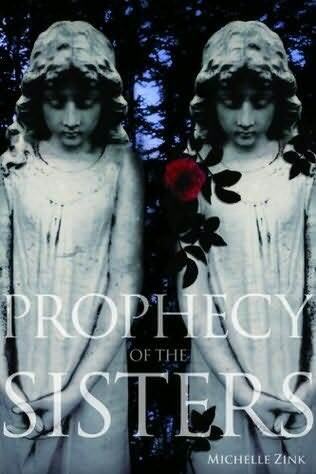 The Prophecy of the Sisters by Michelle Zink, plus lots of bookmarks to hand out. This is *so* wrong on *so* many levels: a gallery of Twilight tattoos. 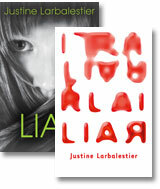 And all of this got me thinking about race and its portrayal in the books that *I* read. How many of the books I’ve read feature non-whites as the main protagonist, or at the very least as an important figure in the story? How many easily could, but don’t? So I did some quick math. 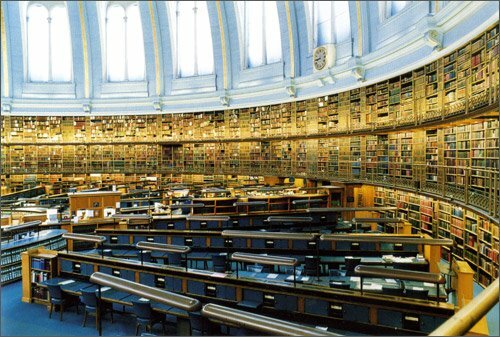 As of this writing, I’ve read 60 books in 2009, 15 of which prominently feature non-whites. That’s about 25%, which isn’t too shabby, but it could always be better. In 2008, 24 of the 106 books I read prominently feature non-whites; that works out to be about 23%, so I seem to be consistent. As part of our summer reading program, kids get to pick a book from the book sale cart as a prize. 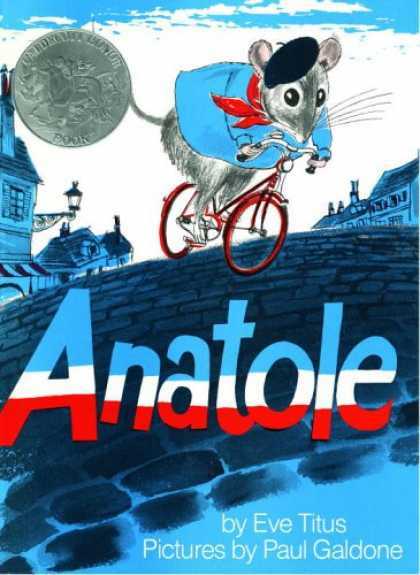 One of the kids who was in today to claim a book chose Anatole by Eve Titus, which led me to shriek “OMG, I LOVE THAT BOOK!!!! !” He seemed pleased by my enthusiastic response. And now I have requested all of the Anatole titles to revisit a cherished childhood memory. Eve Titus also wrote the Basil of Baker Street series, which was the basis for the movie “The Great Mouse Detective.” I loved those books (and the movie!) as well. Nick Ryves is a 16 year old with a bad attitude who’s almost always in trouble and can’t wait to quit school. He’s also handy with a sword, and a cold-blooded killer…of demons and wizards. Nick and his brother Alan (with their more or less insane mother in tow) have been on the run from said demons and wizards ever since their father was killed eight years ago. Things had been going as well as could be expected recently, but everything takes a drastic turn for the worse when Mae and her brother Jamie show up at Nick and Alan’s door. Alan agrees to help the siblings despite Nick’s protests, and everything seems to go even more horribly wrong from that point forward. Although I wasn’t jazzed about this book when I started reading it, it really grew on me, and I was completely invested by the time I finished it. I am most definitely looking forward to the sequels, and I’m really interested to the how The Big Plot Twist plays out in them. I really grew to care about Nick and Alan, and Jamie and Mae, and I’m looking forward to seeing them again soon.